Often mixed with olive oil and spread on bread, za’atar is made using a mixture of sumac, sesame seeds and herbs from the Middle East and Mediterranean. 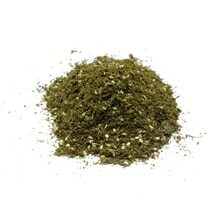 Also used to season vegetables, the taste of za’atar can be tangy, herbal, nutty, or toasty. Sprinkle za’atar over flatbreads, stir into dips or use sprinkled over salads, or to roast vegetables with. Zucchini comes from the Italian word which means tiny squash or undeveloped marrow. 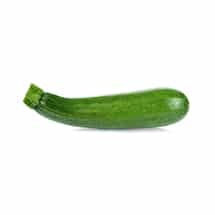 Often mistaken with the English courgette, they both come from the same plant but the Zucchini is actually the American version of the British marrow, with different terms used depending on the dominate language of the specific country. A zucchini is a squash vegetable and is normally harvested immature at 15 to 25 cm (6 to 10 in).